Hilton have 15% off “Gold Medal” discount rate codes for all participating Hilton family of hotels worldwide.The “Gold Medal” rate is targeted to members and friends & family of the Team USA and seems to have the same cancellation policy as the hotel’s Easy Cancellation rate that is usually day of arrival. For all Hilton family of hotels in the Americas (North, Central & South) + the Caribbean, use corporate code N2635179. 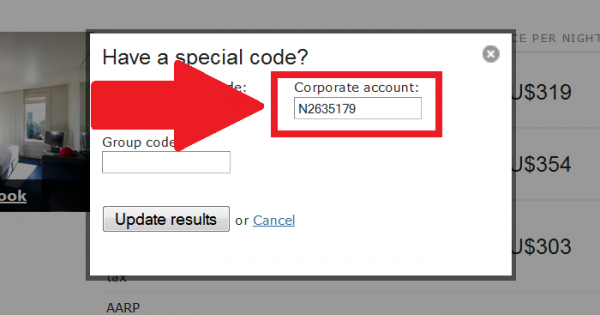 Hilton & DoubleTree hotels elsewhere use corporate code D000030070 & all other brands use N2635179. 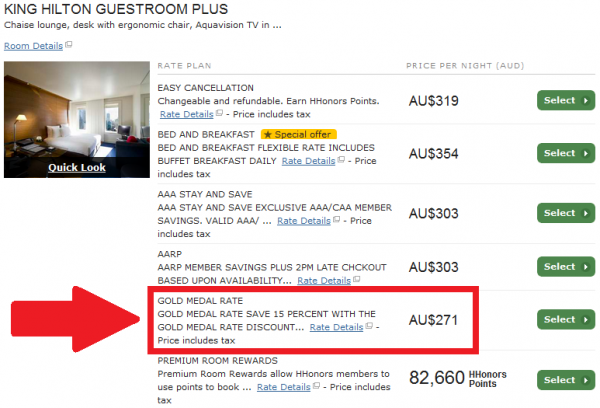 This “Gold Medal” rate seemed to be available at most of the properties that I checked. Just remember that if the hotel has specific sales going on that offer greater than 15% discount those rates will be lower. There are no terms and conditions attached to this offer beyond the rate rule listed above.